The Think 20 community came together in Buenos Aires to share their policy recommendations with president Mauricio Macri and debate topics relevant to global governance. On Monday 17 and Tuesday 18 September, the CCK in Buenos Aires was visited by over a thousand experts, Argentine government officials, representatives of international organizations and the business community for the T20 Summit. This was the engagement group’s final event that brought together the most important think tanks in the world. During the opening, CARI and CIPPEC officials, the institutions that lead the Think 20 (T20), presented the president of Argentina, Mauricio Macri, with the Communiqué – the document with the public policy recommendations. The engagement group considers these proposals as priorities to be addressed by G20 leaders. “Today I came to receive the packet of policies that was created after many months of work. I know you have addressed nearly all of the topics on this year’s G20 agenda. I am sure that this document will be useful for the constructive work for this year”, said Mauricio Macri. “The work of the T20 is key to transform the ideas and recommendations. That contributes to create public policies, which allows us to make the most out of knowledge. You work complements our efforts and allows us to generate policy solutions,” he added. The chief of cabinet of ministers, Marcos Peña, held a dialogue with think tanks leaders during the closing of the event and said that he found the Communiqué very interesting. Also, Laura Jaitman, the Argentine representative from the Finance Track, took part in a panel on the G20 and the New World Order, and the secretary of culture, Pablo Avelluto, presented Nicholas Burbules. The minister of foreign affairs, Jorge Faurie, gave the opening remarks at the welcome cocktail that took place during the evening of Sunday 16 at Buenos Aires City Hall. The Summit was also an opportunity to strengthen the discussions on relevant T20 community topics and look to the future of the open and independent network of think tanks. The two days of intense work included 54 sessions in which over 170 speakers took part. They spoke of the priorities for the G20 Argentine presidency and other central topics of the international forum: climate change and infrastructure for development: food security and sustainable agriculture: the future of work and education in the digital age: gender economic equity; social cohesion, global governance and the future of politics; and international finance and economy. Additionally, there were keynote speeches and plenary sessions given by well known international experts such as José Antonio Ocampo (Banco de la República de Colombia), Vera Songwe (UNECA), (University of Hamburg), Félix Peña (CARI), Jeffrey Sachs (Center for Sustainable Development – Columbia University), Nicholas Burbules (University of Illinois), Nora Lustig (Tulane University), Paul Twomey (CIGI) and José Luis Chicoma (Ethos Public Policy Lab). 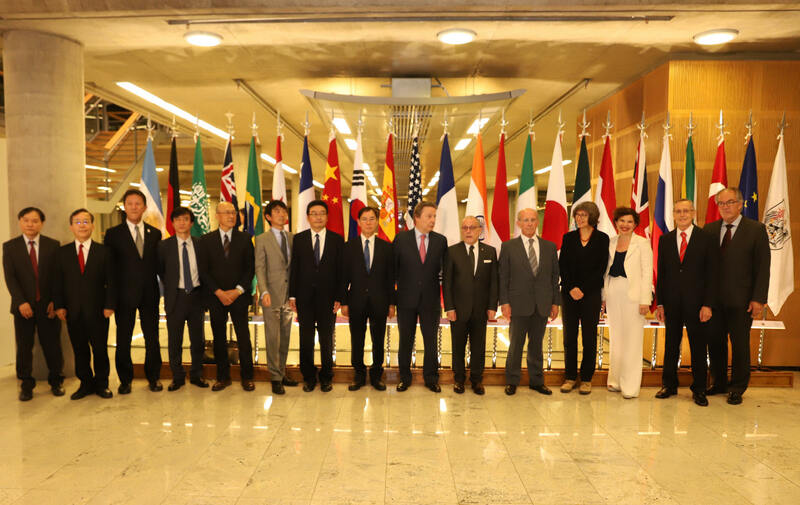 CARI and CIPPEC will lead the T20 until 30 November 2018, when the G20 presidency is passed onto the Japanese government. At that point, the Asian Development Bank Institute, the the Institute for International Monetary Affairs and the Japanese Institute for International Affairs will lead the engagement group that aims to propose public policy recommendations based on evidence to the international forum. During the afternoon of the last day of the Summit, Naoyuki Yoshino, dean at the Asian Development Bank Institute, presented the priorities and the Task Forces at T20 Japan. Watch the T20 Summit again by visiting YouTube and see all the photos on Flickr.